After losing half the population of the MCU, Marvel fans are ready to see how the gang are going to claw this back – and the UK contingent won’t have to wait as long as expected. Sorry to our friends across the pond in the US. It looks like Marvel will be adhering to their time-honoured tradition and showing the people of Blighty their wares first. So, you’ll want to watch out for those spoilers on UK Film Twitter. UK and Irish audiences have had the chance to watch the adventures of the Marvel superheroes before their American counterparts ever since 2010’s release of Iron Man 2 – with the exception of Ant-Man and the Wasp. But that looked set to change with Avengers: Endgame, the film in which we hope the Snap will be unsnapped and the team will assemble once more to defeat Thanos. The joint UK, Ireland and American release date was pencilled in for April 26 – exactly one year on from Infinity War – after Marvel brought forward the initial US release date from May 3. But now, Comscore Movies UK & Ireland has reported the film will open earlier in the UK after all, pointing at a Thursday, April 25 release date. That’s the sound of HR personnel nationwide groaning as many, many people switch their day off so they can sit and mull over the movie on the 26th instead of going to work. Meanwhile, our American friends are presumably stuck with their Friday release date on April 26 and their blissful Saturday recovery. Fiddling the calendar should hardly be surprising to all your die-hard fans who’ve lived through months and months of waiting for the first Avengers 4 trailer to be released, amid delays and push backs a-plenty. So, it’s important to note this new release date is surely provisional. 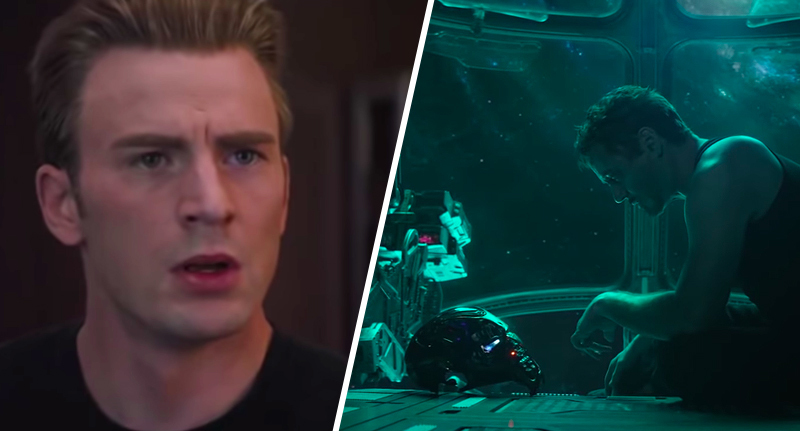 The first trailer for Avengers: Endgame finally dropped in early December, and opened with Tony Stark stranded in space and sending an emotional goodbye message to Pepper Potts. It arrived unexpectedly and quickly broke records with the the most viewed trailer in its first 24 hours – racking up 289 million views over the course of its first day. The milestone meant Marvel broke its own record, previously set by the Infinity War trailer, which received 230 million views in the same period. Meanwhile, they’ll want to pick the right spot for the opening public screening of Endgame – it’s almost certain the folk over at Marvel will want the new offering to outperform Infinity War on more than just YouTube trailer views. It’s going to be a feat about as easy as reversing time and bringing exactly half the superhero population back into existence after all evidence of Spidey, Doctor Strange, Scarlet Witch and the gang was totally dusted by Thanos’ population control rampage. What will number four have in store?